Marksmanship matters. What a catchy slogan. The older I get, the more I agree with it. The older I get, I also have less tolerance with some of the BS that is being put out in the industry that passes for training. Matter of fact, I think that the training industry is about due a shake up. Social Media seems to be littered with some really horrible stuff. Everything from instructors who seem to have a want and need to make sure that they post something, and then tell everyone that “I don’t care if you like it or not” to tactics that are down right scary. In the saturated training market, everyone is trying to find a niche. That latest niche seems to be vehicle tactics. I see a lot of handgun instructors teaching vehicle tactics these days. And most of what I see has ZERO application in rural Kentucky, let alone on a crowded street in Memphis. A lot of what is being taught is flash in the pan. It looks cool. It often is a good tactic for use as a contractor overseas. It has zero application for the American Law Enforcement professional or for the armed citizen. But, it sure is fun. The other is the two yard line guys. The one that boast the impressive splits and blinding draw times with a compensated Glock with an RMR. Most of those classes are organized practice sessions. And they can be a lot of fun. So, you have to asking yourself. Is Jones becoming one of those crusty guys that posts stuff on social media and screams out “I don’t care what you think, get off my lawn!” Nope. Not in the least. My point is that the above are examples of classes that aren’t really training you for skills that are transferable to other tasks, and aren’t marksmanship heavy. They are fun. But not the heavy lifting necessary to become better. Marksmanship wins fights and trophies. 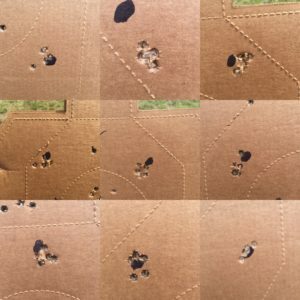 How many times have you heard an instructor or personality say something along the path of “That is some good shooting. You don’t want to stack all of your bullets in one place.” I usually do a double take and ask why. The usual answer is “To do more damage to your attacker”. almost have to wonder if those who use this line of reasoning are just trying to be nice to the student. Because guess what? You’ll be moving, your attacker will be moving, the bullets are going to spread out on their own. 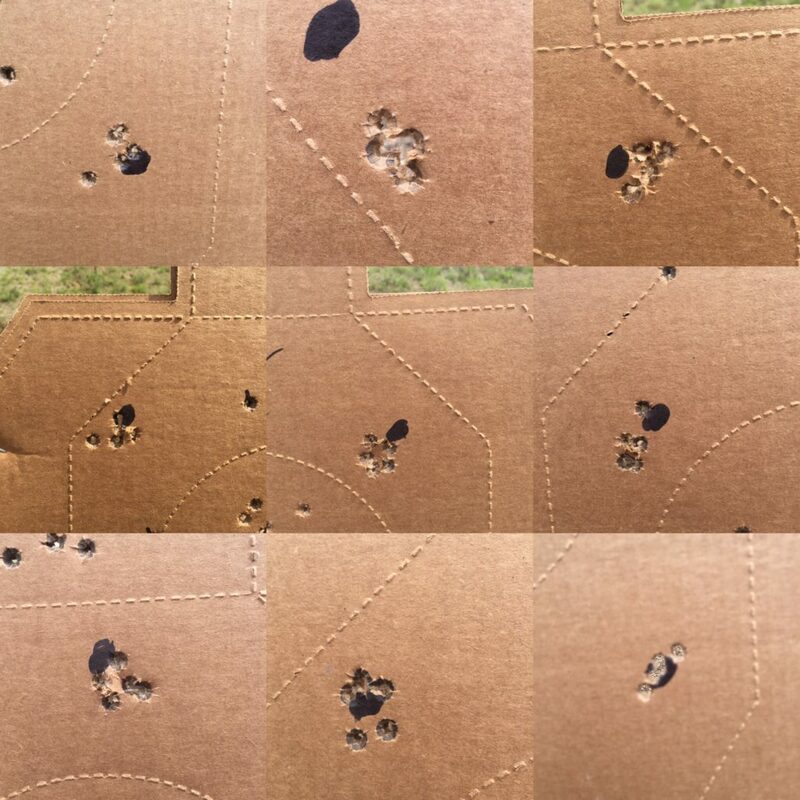 The shooters that have the skill to drive the rounds to a specific spot on the target are naturally going to fair better than those who spread their rounds around. Then there are those who cross their arms and claim that shooting distance is not a self defense skill. They claim for a wide range of reasons. Some include the lack of being able to justify the shooting, “statistical gunfighting” (meaning the thrown around statistics of 1-3 feet, 1-3 seconds, 1-3 rounds “average” gunfight), etc. Active shooters don’t play by statistics. Some do their work up close and personal. Some from a distance. Why not be equally prepared? Plus, a shooter that is well versed in a 1.75 second draw at 25 to a solid A zone hit, can pretty much drive the round to which eye socket he/she prefers at 7 in half the time. The skills directly transfer, despite what social media tries to claim. Gents, the most important thing you have is between your ears. Having the right mindset goes a long way to managing an effective training plan. Don’t let the glitz and glamour of organized practice at the two yard line or vehicle tactics (or any other highly specialized skill) pull you away from the most basic of skills. Making hits on demand. Aim Small. Hit small. Solid fundamental marksmanship must be mastered. If you are serious about it, you must be able to summon up these skills upon demand under any conditions. Yeah, go out and take classes that are fun occasionally. Just don’t lose sight of what matter. I strongly agree with all you had to except that we all spend a considerable time in and around our vehicles which is also a favorite location for a criminal attack. Learning the basics of defending oneself from within or around a motor vehicle is appropriate. On all counts I support your points on marksmanship. We start our students at 15 yards not at the typical 3 yards which we eventually get to after marksmanship has been leaned. Thanks for the excellent article.